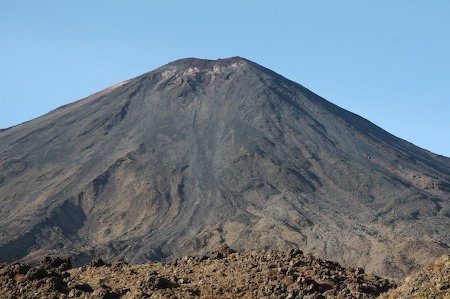 Today I did the Tongariro Crossing – one of New Zealand’s best-known walks. Very many thanks to Pete Burgers for recommending it! Thanks from my heart, at least; my legs may not be so grateful. It’s a 7-8 hour hike through, onto, and over some amazing volcanic scenery, and I’m now completely exhausted, so am heading for bed. I’ll be posting some more photos over the next couple of days, but here’s a question for Tolkien fans which has always puzzled Rose and me: Since the great eagles are able to pick up Sam and Frodo from Mount Doom at the end of their mission, why couldn’t they just drop them off there in the first place? > end of their mission, why couldn�t they just drop them off there in the first place?